The annual Auto Expo Charity Preview luncheon was held Tuesday, April 2nd at Vito’s Ristorante in East Syracuse. Over $255,000 was awarded to 13 participating charities and organizations. The 21st Annual Auto Show Charity Preview, held on February 6th was another financially successful event. According to preview co-chairs Jim Barr and Gino Barbuto, the preview committee raised sufficient underwriting that enabled the charities to receive 100% of ticket sale proceeds. The 21-year total for this signature event is close to 4 million dollars. The money raised by this event will benefit a wide range of people in the CNY community with everything from meals, healthcare, respite and education services. The 13 participating organizations will receive checks based on the number of attendees that selected their charity for their donation. Syracuse, NY (2/1/2019) – The Syracuse Auto Expo Show returns to the Oncenter on its original show date in February. The 111th Auto Expo sponsored by SADA features hundreds of vehicles spread out through two buildings and four BIG floors totaling 135,000 square feet, and you can experience it all and not have to worry about braving the cold temperatures. See the latest in automotive technology, efficiency, safety and comfort and style for work, play or leisure. Returning for the fourth time, the Toyota Drive Center is ready to hand you the keys and let you experience their most popular vehicles. Licensed drivers can also test drive a variety of other popular Toyota vehicles the all-new Camry, the RAV4, the all-new Prius Prime – the hybrid you can charge. The Customer Appreciation Lounge has returned downstairs in the Ballroom for the entire show. Enjoy an expanded menu of light meals, check-in on social media (#syrautoshow) and fill up on snacks while you relax at bistro tables. On Thursday military personnel, veterans and first responders get free admission with proper ID. Parking not included with free ticket promotion. On Saturday afternoon we are bringing New York State’s finest wines and craft beers back to The Lounge at the Expo. We are shining the spotlight on CNY’s growing wine and breweries with a tasting room that can be found in the downstairs partitioned ballroom on Saturday from 4 pm to 7 pm. This year’s wineries and breweries include Beak & Skiff – 1911 • Genesee Brewery • Greenwood Winery • Lock 1 Distillery • Owera Vineyard • Southern Wine & Spirits and Waterman’s Distillery just to name a few. Bottles will be available for purchase (off-premise consumption only) and tastings will be available to guests who are 21 years or older. 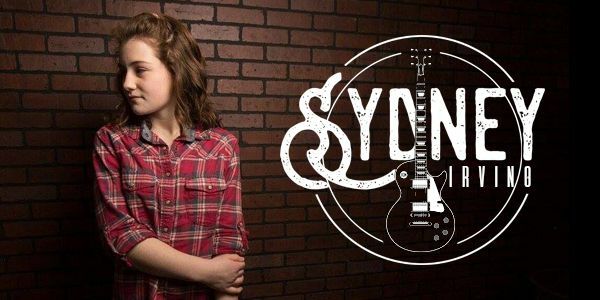 Plus 15-year-old singer-songwriter and SAMMY nominee Sydney Irving will be our musical guest from 4-7pm. Sydney’s debut album, “Hello Stranger” was released two years ago and her folk-rock pop sound enchants audiences across the state. She will be available to meet fans and sign autographs after her performance. The show has plenty of fun things for the kids to do while mom and dad shop! Get a balloon hat from Jackman’s twin magicians and “The Face Paint Lady” will be painting the kid’s favorite characters throughout the day. For our more rugged fans, The Outdoors Lifestyle exhibit downstairs reminds everyone that outdoor weather is right around the corner. Imagine warm summer days as you ride motorcycles, ATV’s, personal watercraft, easily trailer-able boats, scooters and towable campers. Plus, a new show highlight and great photo op will be a display of colorful local Street Rods. Sunday is Family Fun Day with a special admission price of $20 for a family four-pack. For the kids, you’ll find balloons and face painting too! Be awestruck by the Jackman’s twin magicians from 12 to 4. Plus, kids can be transformed into their favorite character with “The Face Paint Lady” (www.nyfacepaintlady.com) from 12:30 to 4:00. The festivities kick off on Wednesday, February 6th with the 21st Annual Charity Preview. The preview party gives you a first look at the show while raising money for 13 Central New York not for profit organizations. Since its inception, the “best party in town” has raised just over $3.6 million dollars. Meals On Wheels of Syracuse, NY, Inc.
Veterans, first responders and military personnel are Free on Thursday ONLY. Parking not included with free ticket promotion. Syracuse, NY (February 7th, 2019) – The Syracuse Auto Dealers Association is proud to announce this year’s sales awards winners. They are a diverse group of professionals who work across Central New York at various dealerships. SADA President Gino Barbuto is pleased to announce that Brian Rapp has agreed to serve as chairman of the 2019 Syracuse Auto Expo. The show will be going back to the traditional show date in February, with the Charity Preview on the 6th and The Auto Show from the 7th to the 10th. Brian has been serving on the Charity Preview committee and has been very active with new ideas for the show. The Rapp family has a long-standing tradition of guiding the Syracuse Auto Show. Both Brian’s father and grandfathers were show chairs and we welcome Brian to the position in 2019. The Rapp family has been in the car dealership business for three generations. Brian is currently Vice President and Partner in his family’s dealership. He attended the University of Miami where he earned a BBA and MBA. Plus his education continued at the NADA Academy from which he graduated. 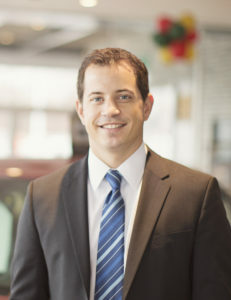 Brian grew up around the family business and has worked at the dealership full time for the past 10 years. He is looking forward to guiding the Syracuse Auto Show as it enters its 111th year. 6/28/18 – Every year, the Syracuse Auto Dealers Association (SADA) honors the top Auto Tech and Collision students from OCM (Onondaga, Cortland and Madison counties) BOCES, Institute of Technology at Central and this year the addition of a student from East Syracuse Minoa High School Auto Tech Program. Each recipient receives a plaque recognizing their accomplishments and tools. Their instructors nominate the recipients based on their classroom and work performance. SADA has been involved with the technician’s program for many years and is represented at the ceremonies by Service Directors from area dealerships.